The hit sci-fi film Arrival is based on Ted Chiang's short story, Story of Your Life. 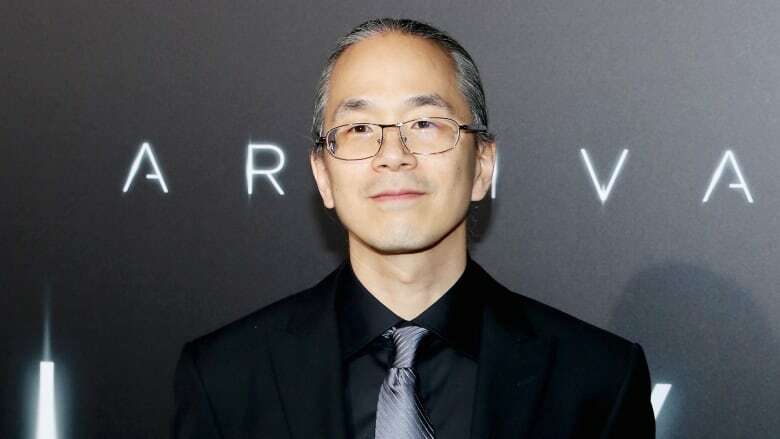 When Ted Chiang found out that movie producers were interested in adapting his short story, Story of Your Life, into a big budget film, he thought: "They were not trying to make a conventional Hollywood film." Although there are no shortage of sci-fi films out there, Chiang's story was different. "The story is not what most people would consider a likely candidate for adaptation into film," he says. "Most of the action of the story is people sitting in a room, talking [...] it's not something I could see being made into film." Story of Your Life tells the story of a linguist who is given the task of communicating with aliens who appear on Earth out of nowhere. And while the extraterrestrial fit into the sci-fi mould, having a linguist as the protagonist is a bit more rare. "I don't think any number of novels feature linguist protangonists will have the same impact as a major motion picture with a linguist as a protagonist," explains Chiang, who studied linguistics for five years in order to write the role of Louise Banks, played by Amy Adams. "The fact that the movie turned out as well as it did, I think, is almost literally a miracle." Chiang's Story of Your Life is part of a short story collection, recently republished under the title Arrival.